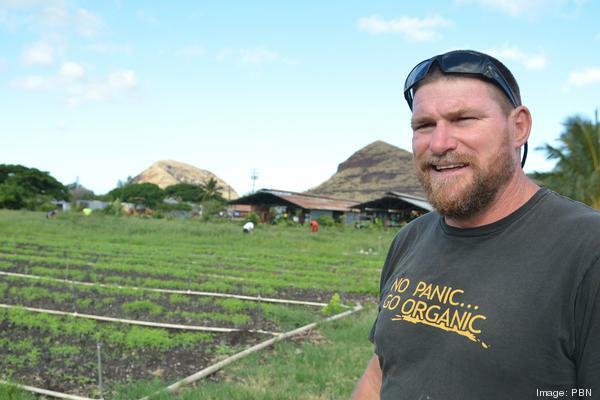 Gary Maunakea-Forth, co-founder and managing director of Mao Organic Farms, never thought he would see the day when his nonprofit farm in Hawaii would need to expand in size to keep up with demand for both food and program positions. Mao Organic Farms, which was established in 2001, operates a young leadership program that hires young people from Waianae, pays for school and gives a workers a stipend. For the past 13 years, the number of young adults enrolled and the amount of land farmed has increased. The program has expanded to the point where nearly 50 kids enroll each year, an increase from the 12-person cohorts the farm initially attracted. The farm has also expanded from five acres of land leased from a local church to 24 acres of USDA certified organic farmland certified organic by the U.S. Department of Agriculture. The growth is apparent, but Maunakea-Forth never expected the program to flourish in the way that it has. He said when they started Mao Organic Farms, people saw him and his wife, Kukui, as hippies and environmentalist, but viewpoints have since changed. He cited visits by Larry Ellison and Oprah Winfrey’s workers from Maui to his farms as proof that the interest in organic farming is increasing. The farm’s vergetables were also on the menu at a luncheon hosted by first lady Michelle Obama during the Asia-Pacific Economic Cooperation meetings in 2011. But Maunakea-Forth also noted the farm’s inability to provide for the increasing demand of organic produce. For example, Mao currently supplies produce to six Foodland stores on Oahu and the rest of the island’s stores also want to carry their produce. But the farm cannot provide the additional produce without taking away from other grocery customers such as Whole Foods Market, farmers markets or local restaurants. Read the full story via Hawaii’s Mao Organic Farms struggles to keep up with demand: Slideshow – Pacific Business News.